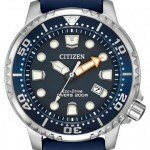 Hello everyone, today we’re taking a look at some of the best fishing watches available. These aren’t just any old watches, a good fishing watch should come with a selection of useful functions. 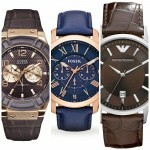 The 5 watches featured below don’t just simply display the time and date, they all have more up their sleeve than that. You’ll find all these watches provide the tools for a fisherman to have a more successful fishing trip. What features should a useful fishing watches include? Tidal information: Information like the tide coincides with fish populations, you’ll tend to find that fish are more active during dawn, dusk, moon rise and moon set. Understand tidal information is a useful tool for any budding fisherman. Moon phase display: As above, the moon phase information is related to the tidal changes so this information can also be helpful to you. Barometer: A watch with a barometer can help you avoid bad weather, it warns of pressure drops which can be an early indicator of incoming bad weather. Some fishing watches can even be programmed to sound an alarm when the weather is right for fishing. Water resistance: This is a fairly self-explanatory one. Any good fisherman’s watch should be able to deal with getting wet. That’s why all the watches featured below come with high water resistance ratings. Easy to read at night: If you’re planning on doing a bit of night fishing then a backlight or good lume is a must. These are all digital watches with backlights but below you’ll also find extra lists for lume filled diving watches and tritium timepieces. Whilst the watches below don’t all feature every one of the functions mentioned above, they are picked out with them in mind. Read the description of each timepiece to see what functions it does come with. Hopefully using this list you’ll get an idea of what it is you need from your next fishing timepiece. As always, if you have any questions simple comment at the end and I’ll try to assist you as best I can. The Casio ProTrek Pathfinder is one of the best fishing watches available due to its durable and lightweight design as well as the fact it’s packed full of useful functions. 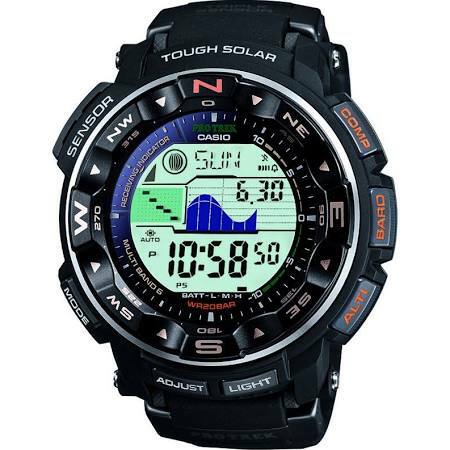 Thie Casio timepiece makes use of the Tough Solar technology, this means it’s powered by light and never requires a battery. It has a large 50mm diameter casing with a thickness of 15mm. This is protected by this thick resin that surrounds the stainless steel base of the watch. The strap itself is made of a strong rubber and fastens with a buckle style clasp. Protecting the dial is a mineral crystal glass which gives you a good level of scratch resistance, and more important shatter resistance which is something you’ll prefer to have whilst fishing. Functions like the altimeter and barometer help fisherman predict weather events that are upcoming, this way they can avoid being surprised by a sudden change in weather for the worse. This atomic watch is extremely accurate due to the multi band 6 feature which syncs the watch up to an atomic clock using a radio signal. Other useful functions for fishing include the thermometer, compass, and the fact it’s calibrated to display moon phases and even predict the tide conditions. This Casio Pathfinder has an auto illuminator, 5 daily alarms, countdown timer, stopwatch, and an auto-calendar. It also features a 200m water resistance rating which is handy in case you need to put your arms in the water whilst fishing. 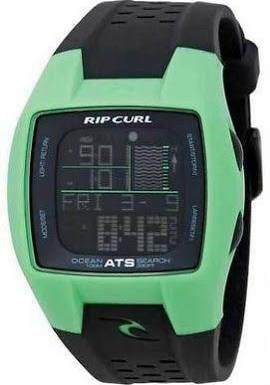 The next top tide watch for fishing that I have to feature is this interesting Rip Curl watch. Whilst it’s fair to say that it wasn’t originally intended to be a fishing watch (it’s more aimed at the surfing market) it does indeed have the features you’d hope to have from a good fishing watch. This rectangular surf watch is built with a 43mm non-corrosive plastic casing that has a thickness of 13mm. The strap is made from polyurethane and fastens with a buckle style clasp. The watch is ideal for fisherman as it has over 200 beach destinations pre-programmed into it to make looking up information on the sunrise, sunsets, moon phase, and tide easier. If the location you’re after isn’t already stored in the watch is can be added with ease. A quartz movement gives you reliable and accurate timekeeping on the digital watch display. Extra functions of this Rip Curl watch include a countdown timer, stopwatch, alarm, and backlight. It also has a 100m water resistance rating, again a nice edition to have if you’re using this watch for fishing. 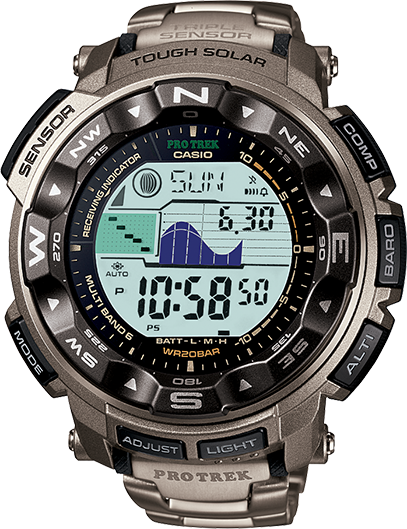 Another ideal watch to use whilst fishing is this Triple Sensor Casio Pathfinder. It’s another oversized large watch with a 51mm casing diameter and a thickness of 14mm. 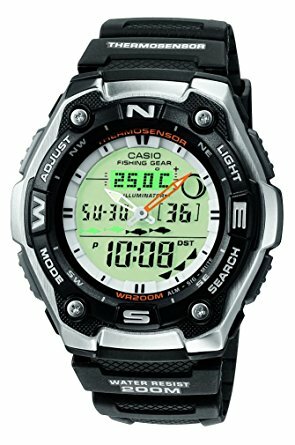 As you find with many Casio watches this Tough Solar timepiece has a thick protective resin that surrounds the stainless steel case. The band of this Casio watch is made of a durable canvas that’s perfect for withstanding the activity of a fisherman. The watch is also water resistant to 200m so you won’t have to worry if the watch gets wet whilst you’re bringing in a big catch. The Pathfinder is designed to specifically deal with the harsh weather for outdoor use. It features sunrise and sunset alerts as well as moon phase and tide predictions which can be pre-programmed with up to 5 different alarms. This Casio is powered by a solar movement meaning the watch never requires a battery as it uses energy from light. 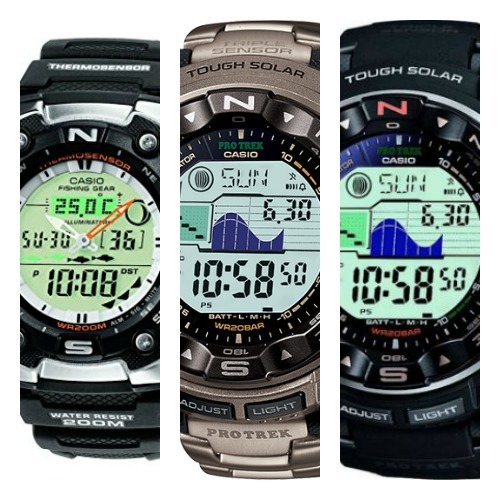 You can view more Casio solar watches here. Extra functions that made this watch ideal for fishing include a digital compass, altimeter, barometer and thermometer. It also makes use of atomic timekeeping to ensure it remains highly accurate. Here we have another affordable watch from Casio’s Fishing Gear collection. This timepiece is built specifically with fishing in mind making it an ideal choice for those on a budget. Even if you’re an amateur angler you’ll find this a useful fishing watch to get you started. This is a durable timepiece that’s among the best fishing watches available. It’s built with a durable design with a large 46mm casing that has a thickness of 15mm. A resin protects parts of the stainless steel casing too. The strap is made of resin and fastens with a buckle style clasp. This fisherman’s watch comes with various useful features like the moon phases and tide predictions, thermosensor, dual digital analogue display, and a backlight function with glow in the dark characters (perfect for night fishing). This Casio watch also has a 200m water resistance rating meaning you can get it wet from splashes and not need to worry. It’s suitable for swimming, snorkelling, and general fishing. In at number 5 we have another chunky watch from Casio’s Pro Trek collection, it’s ideal for outdoor use and equipped with a range of useful functions that I’ll cover in a moment. This is a large titanium watch with a 49mm diameter and a thickness of 15mm. Titanium is stronger yet lighter than stainless steel making it a very popular material for watches. The strap is also made of titanium and fastens with a fold over clasp. 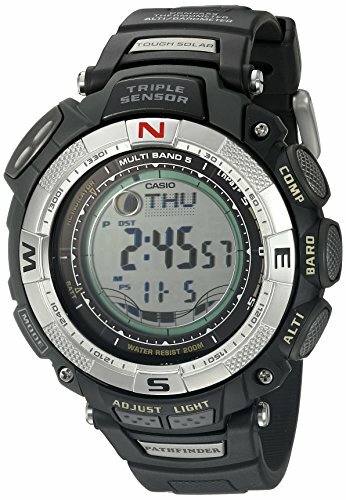 Features of this high specification Casio watch that make it ideal for fisherman include the high visibility LCD display, 5 daily alarms, chronograph, date function, altimeter, data memory, direction bezel, altitude function, thermometer, moon age display, barometer, countdown timer, digital compass, stop watch, tide graph display, auto calendar, and a backlight that makes it great for night fishing. The watch is powered by a Tough Solar movement that means the watch is powered by light and never needs a battery. It makes use of multi band 6 radio control synchronization with atomic clocks for extreme accuracy. It also has a 200m water resistance rating that means you don’t have to worry about getting it wet whilst you’re fishing. All the watches featured above are pretty perfect to take whilst you’re out fishing, but maybe you didn’t need something with all those extra features. For those of you who just want something that looks nice and is sensible enough to take fishing, some of the articles featured below might be worth browsing through. Looking for excellent visibility for night fishing? If you’re after long lasting visibility at night then perhaps you should try out best tritium watches review. In this article we feature watches that make use of tritium gas tubes, these provide high levels of luminosity that last up to 25 years. Some of the brands you may have heard of include Luminox watches and Traser watches. Others out there may just want a sensible watch that features a good amount of lume and has no issue with water. For that, I’d recommend taking a look at our 33 best diving watches, in this article we featured a wide range of affordable watches that are perfect for wear around water. If you’re really struggling to find something you like the look of I’d recommend reading through my best watches under 500. 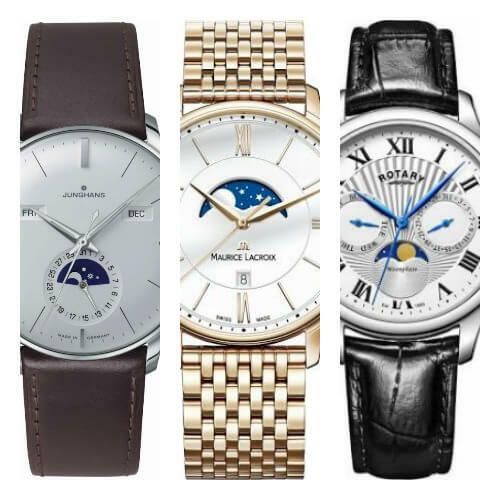 In this article, I feature 100 watches with a variety of styles and designs that are ideal to get your head thinking about what you like best in a watch, and what would make a good fishing watch for you. With any luck, you’ve hopefully found a little inspiration for what you’d personally like from a fishing watch. I’m a big fan of timepieces like the Steinhart Ocean 1 and the Seiko SKX007, whilst they aren’t strictly fishing watches, they’d be suitable for what I’d require. As always I’d love to know what your favourite watch was from today’s list of popular high tech fishing watches was. Comment below and let me know.